December is almost here, and it’s finally starting to feel a *little* bit like Christmas. Slowly but surely. While the warmth of the Summer still comes and goes, we all know that sooner or later, the cold is gonna hit. Think about something for a moment, how old is your furnace? Have you even looked at your furnace? 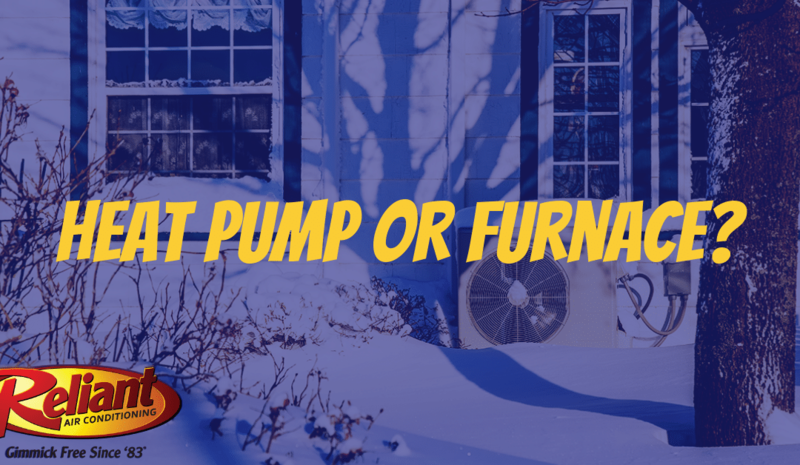 There’s a chance you’ve got an old furnace back there, and depending on how old it is, you might have a bit of trouble with it when the cold snap hits. So you could replace it. But did you know that there’s potentially another option? You could always go for a heat pump, which is an extremely efficient and affordable alternative to a furnace. The Department of Energy are big fans, stating that they can lower energy usage by up to 40%. Can you imagine how much that’d cut down on your energy bill? In terms of efficiency, heat pumps are your best bet year-round. In the summer, they work to move heat from your home outdoors. The opposite is true for the winter, as they work to efficiently move heat into your home. They’re also the most environmentally-friendly choice, too; depending on the system you choose, a heat pump can generate almost three times more energy than it requires to operate. The downside? They’re generally more expensive up front. Depending on the size of your home, we may also make the recommendation to install a backup heating source for those especially cold nights. Furnaces are usually the most popular choice for heating a home. Why? For starters, they’re usually the most affordable option. However, you will have a fluctuation in your utilities depending on the weather, as furnaces rely upon natural gas to fuel them. Furnaces work by transferring heat to your home’s air and moving it throughout your home to warm you up. Take note: if your air conditioner is also in need of an upgrade, you likely won’t get as much bang for your buck simply by installing a new furnace alone. But just because heat pumps are known as the most energy-efficient option, a new furnace can also be incredibly energy-efficient, as well. Still unsure? Give us a call. Reliant Air Conditioning is the Metroplex’s number one source for the very best in heating installation services. Don’t believe us? Just ask a Reliant customer. We can offer you affordable furnace and heat pump installation solutions that will keep your home or business comfortable. It’s also important to note that a new system will virtually pay for itself over time! What are you waiting for? If you’re needing heater replacement in DFW, give us a shout by clicking HERE.